Locker Room Sports Radio: Tony Romo's Lasting Legacy Draws Debate As QB Retires; Hall of Fame Looms? Tony Romo's Lasting Legacy Draws Debate As QB Retires; Hall of Fame Looms? What if I told you an undrafted free agent QB went from 3rd string on the depth chart to being the biggest star on ‘America’s Team’ team for over a decade? That’s exactly what happened to Tony Romo of the Dallas Cowboys as he went from a relatively unknown prospect in 2003 to being a full time starter in 2006. After playing 14 seasons, Romo announced yesterday that he is retiring to pursue a career in broadcasting. He cited his family and health as being the primary factors in deciding to walk away from the game. As first reported by The Sports Business Journal, he will replace Phil Simms as the ‘top analyst’ for CBS Sports' football coverage beginning next season. The announcement comes as somewhat of a shock to some. While Romo recently went through perhaps his most difficult seasons as a pro, most experts presumed he would sign with another team poised to make a Super Bowl run who only needed a veteran QB as the missing piece to their respective puzzle. He was placed on injured reserve last season after a pre-season back injury and replaced by rookie QB Dak Prescott. Prescott seized that opportunity and never looked back. The Cowboys decided to stick with younger signal caller, who by all accounts surpassed all expectations in spectacular fashion and winning over legions of supporters in the Dallas fanbase, coaching staff, front office brass and eventually, legendary owner/GM Jerry Jones. During his 14 year career he was a second team All-Pro in 2014, a 4 time Pro Bowler (2006, 2007, 2009, 2014), he holds the 4th highest passer rating in NFL history (97.1) and also has the highest 4th quarter QB rating of all time. 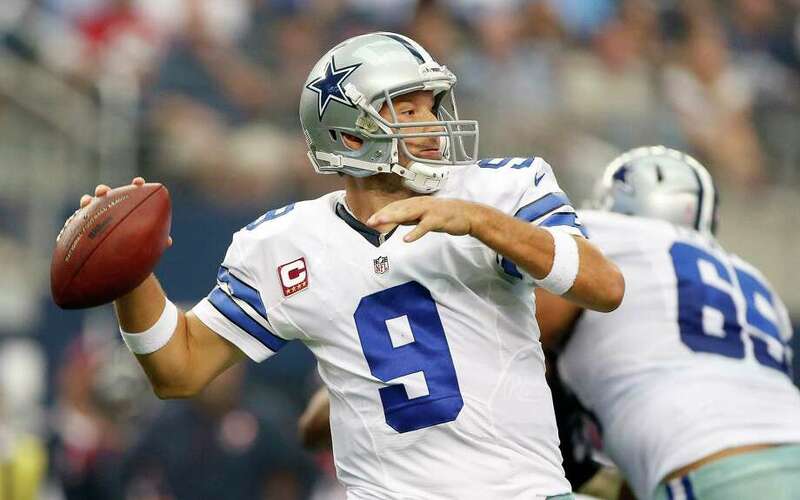 Additionaly, he is the Cowboys’ all-time leader in passing yards (34,183) and touchdown passes (248). Romo played his entire career with the Dallas Cowboys. They aren’t just any ‘run of the mill’ franchise. At an estimated value of $4 billion dollars, the Dallas Cowboys are the world’s most valuable sports team and are generally expected to legitimately contend for and/or win the Super Bowl every year. With lofty goals like that, a lot of attention is given to the team’s quarterback, on and off the field. Romo has been the subject of many heated debates among fans and professional commentators within the sports world. While his career numbers are stellar, his fragile injury prone body along with his sub .500 post-season record have drawn criticism; drawing some harsh critiques from even from the most loyal of Cowboy fans. While injuries are a part of the game and no one can predict exactly when they’ll occur, it is worth noting that Romo has suffered his injuries at untimely points during his team’s seasons. When he did go down, it usually occurred during a stretch where his team was fighting for a playoff berth. As a result of him not being able to play those crucial games, the Cowboys usually missed out on the post-season. This would lead some to question his toughness or if he was even cut out to be a NFL QB. Along with injuries, his lack of playoff success is also another knock on him. Troy Aikman and Roger Staubach are probably the two most known/successful QBs in Cowboys history. They are both known for winning multiple Super Bowl championships and are both Hall of Famers. The former was the general of a 1990s dynasty that won three Super Bowl titles and the latter brought back two in the 1970s; with Romo at the helm, Dallas only won 2 Wild Card games and never reached the NFC Championship game. While some of those loses can be attributed bad breaks, by and large the blame is placed on a QB for a team's post-season success or lack thereof. Rightfully or not, Romo had to shoulder the blame for all the failures of his Cowboys teams. If one were asked to sum up Romo’s career with one play, they would probably choose the failed extra point attempt to tie a playoff game against the Seattle Seahawks define his legacy. For all of the negatives one can point out about Romo, there are just as many positives. As earlier stated, he enjoyed his best season as a pro in 2014 gaining a 2nd team All-Pro nod. Romo is also responsible for Dallas winning their first playoff game in 13 years and many would say had he not been on the field, they wouldn’t have been in a position to even make the playoffs in some of those years. He’s also engineered 28 4th quarter comeback victories, the most in Cowboys history. These numbers and accomplishments are nothing to simply ignore or downplay. If you ask 10 different NFL fans their opinion of Romo’s career/legacy, you’re sure to get 10 unique responses. Some may say he’s the greatest QB in franchise history; some may say he was “ok” or “decent”; some will probably say he wasn’t that good of a QB and hindered Dallas from reaching its full potential during his playing years. If he will ever be voted into the Hall of Fame when he becomes eligible remains to be seen, but he certainly deserves some serious consideration at the very least. Excellent points made bro. I actually argue against the narrative of him being a HOFamer. I look at it like this, Philip Rivers has had outstanding seasons and has had some consistency in his career similar to Romo. No chips !! Is he a HOFamer? Many would say not. Randall Cunningham was one of most talented QBs to play in the NFL and had it not been for injuries he would have probably made it too. But is he there? Nope. Michael Vick was electriying !! Led the league in rushing yards as a QB! Probably won't see the Hall. Phil Simms won a Superbowl and had noteworthy stats and he still didn't make it. The only reason Tony Romo even gets consideration is because of the marketing genius Jerry Jones and his Dallas Cowboys!! !